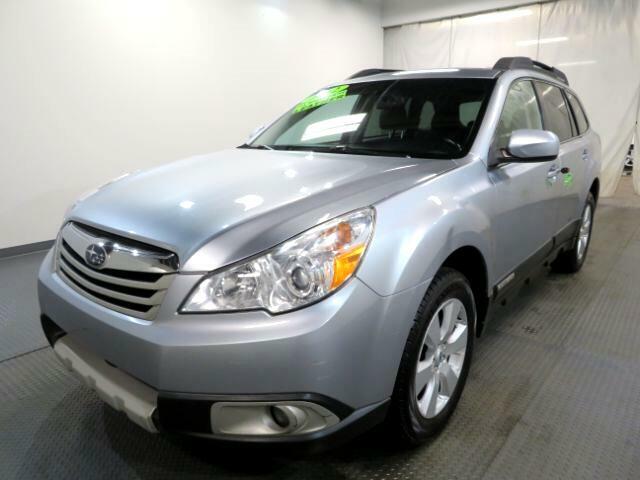 UP FOR SALE 2012 SUBARU OUTBACK 2.5I WAGON, 4CYL 2.5L ENGINE, AUTOMATIC TRANSMISSION, ALL WHEEL DRIVE, POWER WINDOWS, POWER DOOR LOCKS, GRAY CLOTH INTERIOR, ALLOY WHEELS, AM/FM/CD PLAYER, TILT STEERING, POWER STEERING, CRUISE CONTROL, VERY CLEAN INSIDE AND OUT, RUNS AND DRIVES GREAT Interest rates starting Low as 1.99 for Qualified Buyers, Special financing available, Low monthly payments, No Credit, Bad Credit with still have Lenders that can Finance you! Log onto are direct website Nag-cars.com Two Location to choose from...***Internet special. Price reflects discount for cash buyers. Traditional and special financing is available for qualified buyers. Please contact us first for availability as our cars go fast at near wholesale prices. Prices are subject to change. Sales Tax, Title, License Fee, Registration Fee, Dealer Documentary Fee, Finance Charges, Emission Testing Fees and Compliance Fees are additional to the advertised price. All options and conditions of the vehicles must be verified with the dealer, any descriptions or options that are listed is available for qualified buyers. Please contact us first for availability as our cars go fast at near wholesale prices. Prices are subject to change. Sales Tax, Title, License Fee, Registration Fee, Dealer Documentary Fee, Finance Charges, Emission Testing Fees and Compliance Fees are additional to the advertised price. All options and conditions of the vehicles must be verified with the dealer, any descriptions or options that are listed maybe incorrect due to automatic data transfer.